Post-Bethlehem, Drew and I headed by bus down south to the Dead Sea. 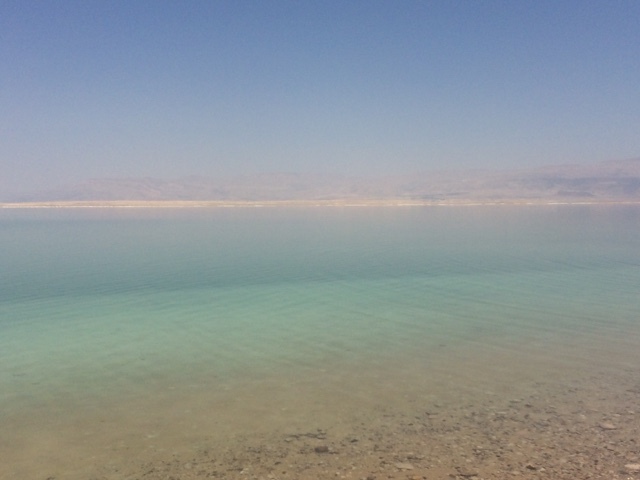 It was super exciting, especially because the drive was surprisingly gorgeous, and I WANT TO FLOAT IN THE DEAD SEA. Do all the things. 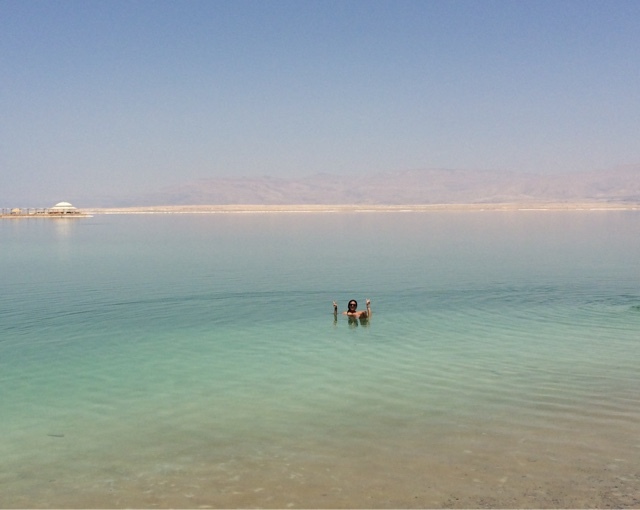 The Dead Sea is freakishly salty. That's really about all one needs to know. 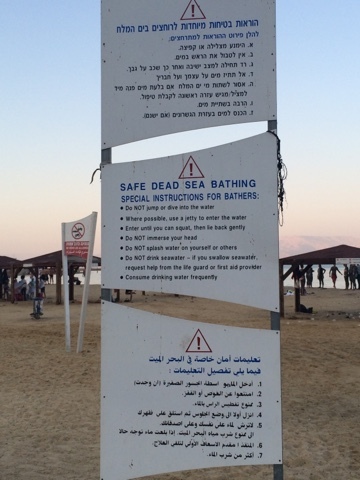 It borders both Jordan and Israel (you can visit from either side), and due to its salinity, you can float at the top of the water with no problems at all. MAGIC. Also, people believe the water/mud/minerals offer health benefits and often travel to the Dead Sea to remedy their ailments. We saw a ton of factories on the drive in, including the Ahava factory, which produces high-end skincare using Dead Sea minerals. 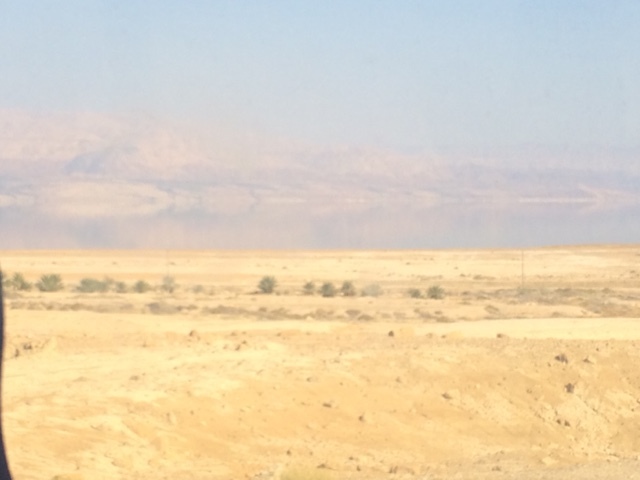 I loved our bus ride down to the Dead Sea. The drive is only about 2 hours, and after a little bit, all the locals had gotten off the bus and Drew and I were the only two people on the entire huge bus. We also happened to be sitting in the front row (I had asked the driver what the best seats were when we got on because I am annoying like that, and he had indicated the first row). 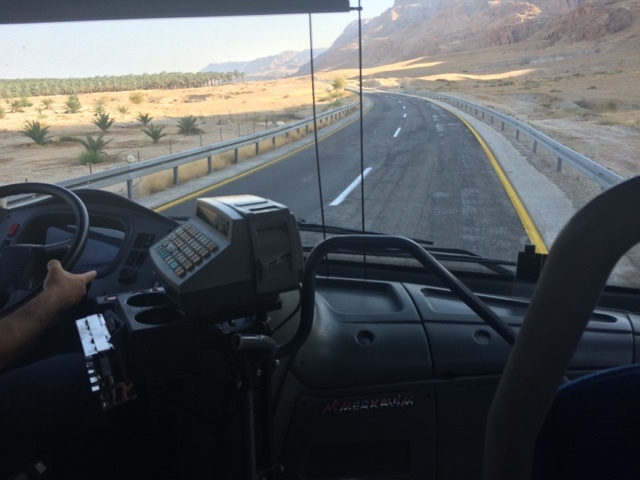 At this point, the bus driver (who I really loved, btw) started calling himself our taxi driver, and telling us all about the drive and the Dead Sea. Things we learned from our bus driver: A lot of the previously very popular resort areas have closed within the past few years, because the sea level has been dropping very rapidly from drought. He pointed out a lot of hotels, roads, etc. that had previously been on the water - but now the water is super, super far away. This has also caused another huge problem: sinkholes. Because the water level has gone down so quickly, sinkholes have started appearing in the land, in the roads, etc. We saw a bunch from the bus, as well as a bunch of stretches of the highway that had been closed entirely, with new paved roads winding out to the side to avoid the sinkhole-ridden roads, eventually winding back to the original highway after awhile. It was sad. Our driver pointed out beaches that used to be packed with people and locals, places that are now completely dead and abandoned. 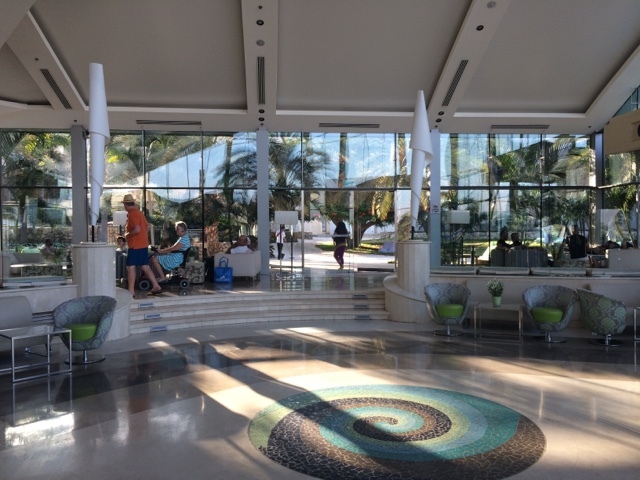 Post check-in (every hotel has a security guard that makes sure you're a guest before they let you in - strict policies! 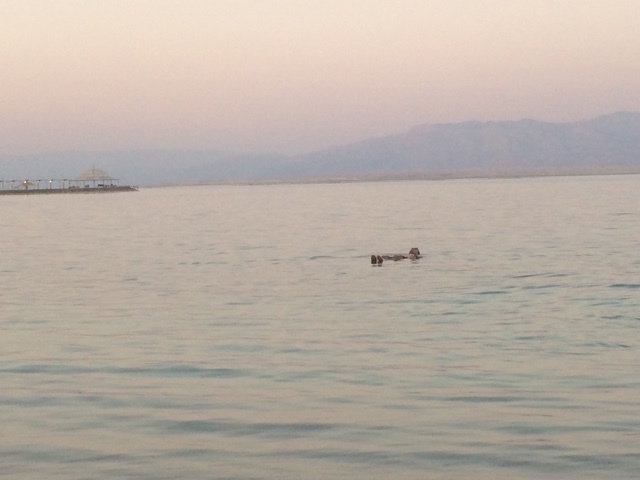 ), we headed out for a quick sunset Dead Sea dip. Which was right across the street. Drew was especially enthralled by the floating because he claims he normally can't float at all. 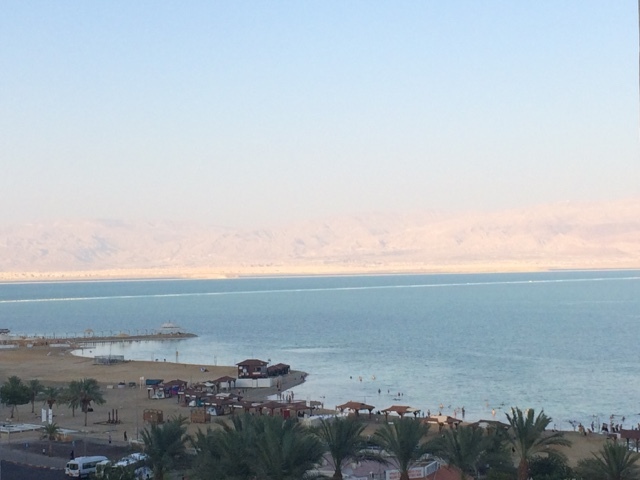 The next morning, we'd had grand plans to go hiking in the nearby town of Masada. Those plans were quickly scrapped because IT IS HOT, Y'ALL. We are definitely in the middle of the desert; if I had to use my Connie-gauge, I would estimate the daytime was like 100+ degrees and the nighttime was like 95 degrees. You walk outside and are immediately zapped of all energy. By 6AM, the heat was already oppressive. The craziest part is it looks and feels like you're in a beachside resort town, but you can't go down into the water to cool off because the water is just as hot (if not more), and when you're already hot, the last thing you want to do is walk into a boiling vat of water. So we spent the day chilling by our hotel pool. 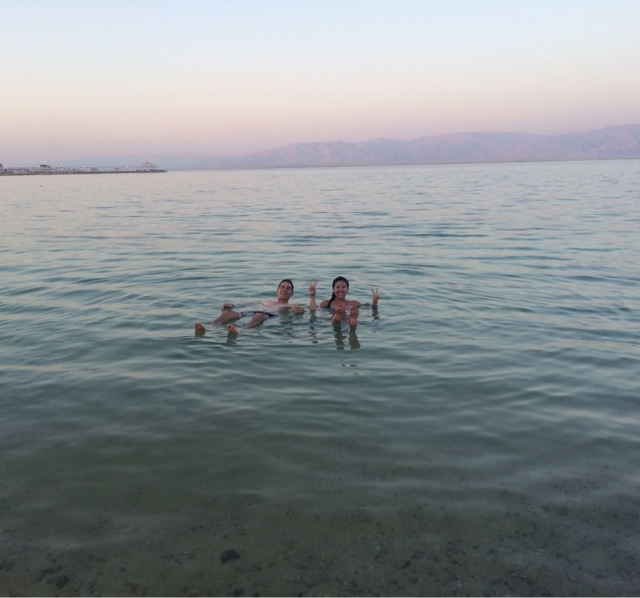 After sufficient time at the pool, we went down to the sea again to use some Dead Sea mud because hey, I'd like to be cured of all ailments with the magical healing minerals of the Dead Sea. Rinse rinse rinse. Sting sting sting. 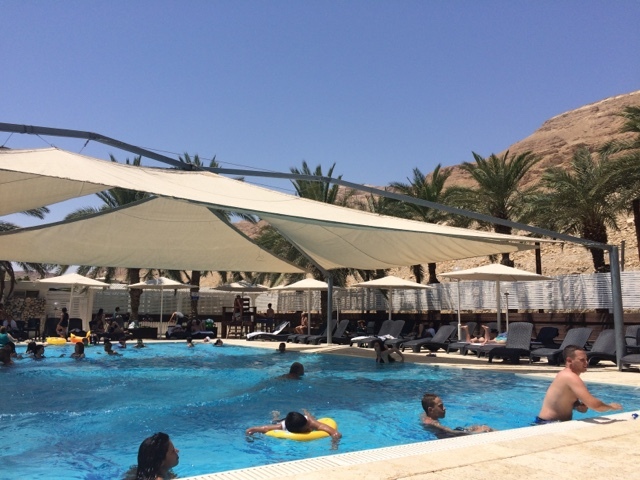 Before heading out from the Dead Sea, we decided to grab a quick lunch from the small poolside food counter at our hotel before our bus. The food counter was empty and looked like it hadn't seen much business. We ordered a plate of sausages from the teen boy staffing the cafe, mainly because the description said the sausages came with Israeli salad, fries, AND a free drink. We mentioned we were in a little bit of a hurry to eat before our bus arrived, and the guy kept checking in with us to let us know our food was coming out soon. After a bit, our food was brought out - pretty standard poolside greasy spoon fare. We noticed, however, that we didn't get the salad the menu said it came with. Drew asked the employee about the salad, who was like "Oh I can make it! I'll make you a plate of vegetables!" He ended up bringing this huge platter of freshly cut veggies, along with a bowl of hummus and olive oil, explaining he'd brought them for dipping and was gonna heat up bread for us too. He was the nicest, most attentive guy - he ended up bringing us fresh pita and then offered to bring us more as we wolfed it all down. The sides ended up being so much more than the original main course because this guy kept adding on - even as we were cramming down the last bit of pita and hurrying to get out to catch our bus, he offered to get us more for the road. For an initially bored-looking 16 year old employee, he ended up being the sweetest and greatest and I really adored him. Me and the half a bowl of hummus, platter of veggies, and numerous pita pockets I took down. 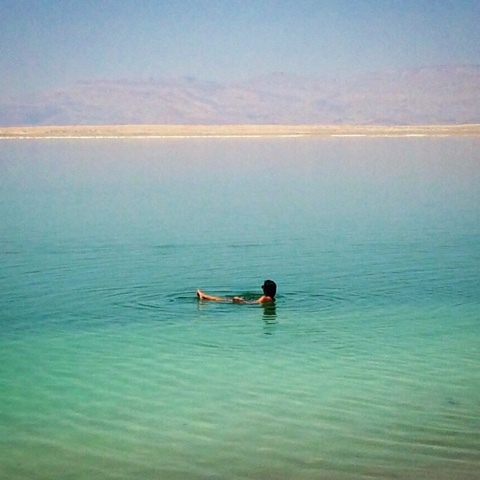 Overall, it was amazing getting to do a more relaxing part of the trip at the Dead Sea - I know, I say this from every single beach I go to BUT IT'S TRUE. Being a tourist is hard. The struggle is real. 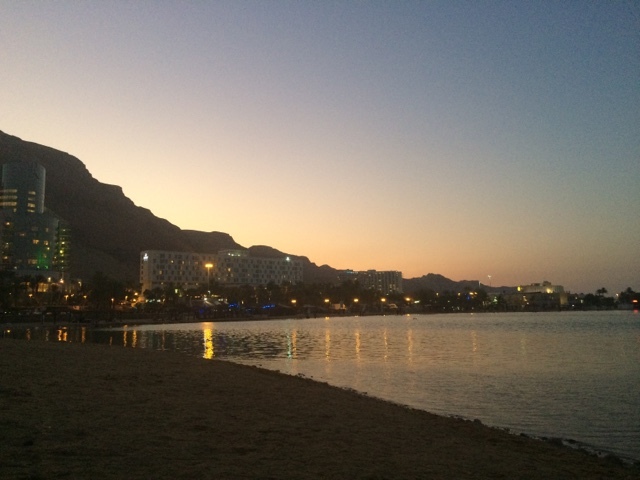 Next up, journeying south to the Israeli city of Eilat and border-crossing by land into Jordan. EEP.